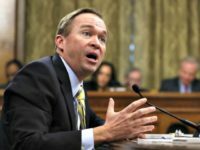 President Donald Trump named Office of Management and Budget Director Mick Mulvaney as acting White House Chief of Staff to replace outgoing General John Kelly on his Twitter account Friday evening. 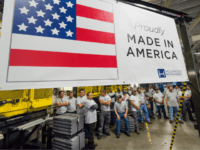 President Donald Trump saved American businesses $23 billion in the past year, according to a new report. 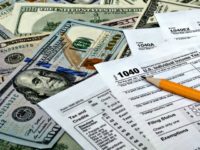 The Office of Management and Budget (OMB) is scheduled to release a report proposing “sweeping”–changing to restructure the federal government, according to reports. 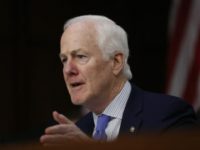 Sen. John Cornyn (R-TX) has stepped over the line. 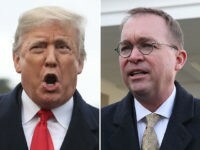 President Donald Trump’s White House has, according to Office of Management and Budget (OMB) Director Mick Mulvaney, removed or withdrawn about 860 Obama administration-era federal regulations. 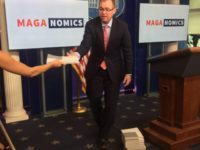 Office of Management and Budget Director Mick Mulvaney highlighted and defined the “next iteration” of Reaganomics which he introduced as “MAGAnomics” during Thursday afternoon’s White House press briefing. 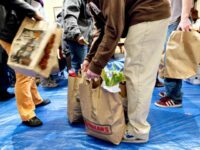 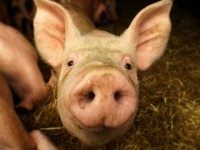 The U.S. House Appropriations Committee continues to restore pork to President Trump’s proposed 2018 budget, recently voting to restore a second National Tsunami Warning System Center to save 40 federal government jobs. 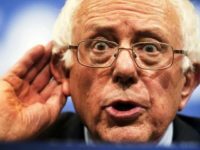 President Donald Trump’s pick for the Office of Management and Budget’s deputy director post was grilled not for his budgetary principles, but for his Christian faith by former Democrat presidential candidate Sen. Bernie Sanders. 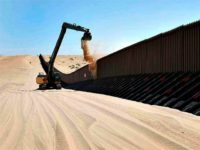 President Donald Trump’s 2018 budget asks Congress to construct 60 miles of new border walls along the U.S./Mexico border – all of which would be located in Texas. 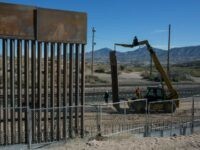 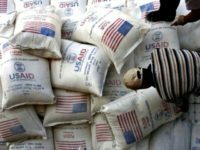 The Trump Administration fiscal year 2018 budget set to be released on Tuesday dedicates $1.6 billion specifically for new and replacement southern border wall, in accordance with Trump’s signature “build the wall” campaign promise. 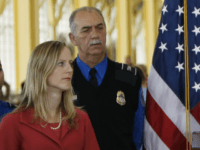 Office of Management and Budget Director Mick Mulvaney says he believes states are better suited to address the opioid epidemic, on a local level, than applying a “federal, one-size-fits-all” approach to a drug addiction problem that has swept the nation. 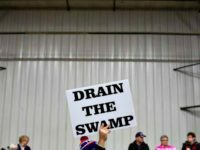 WASHINGTON, D.C. — After almost two months of a federal government hiring freeze, Trump administration officials have released guidance on the President’s plan to “drain the swamp,” with what Office of Management and Budget (OMB) Director Mick Mulvaney described as the first ever rebuilding of the federal government. 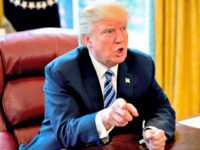 Sen. John McCain says he will vote against President Donald Trump’s nominee to run the White House’s powerful Office of Management and Budget. 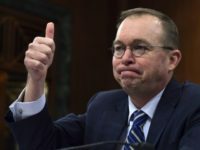 At his first Senate confirmation hearing, Representative Mick Mulvaney, President Donald Trump’s choice to lead the White House budget office, met with a long list of partisan questions from Democrats. 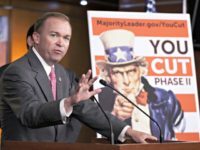 House Conservatives are trying to play it cool after House Freedom Caucus member Rep. John M. “Mick” Mulvaney (R.-S.C.) met with President-elect Donald J. Trump Monday about his leading Trump’s Office of Management and Budget, one of the most powerful positions in the White House and the federal bureaucracy.